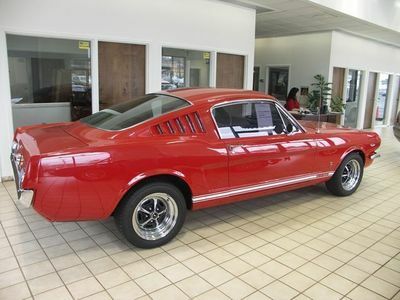 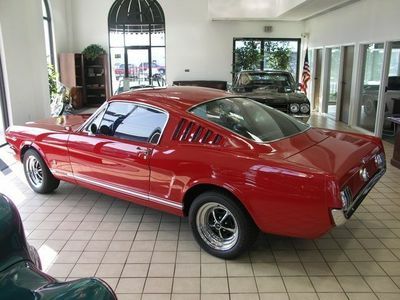 1965 Ford Mustang Fastback (a.k.a. 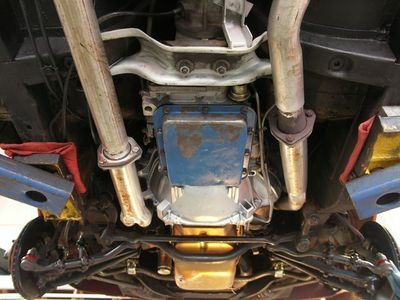 "2+2") with GT Equipment Group. 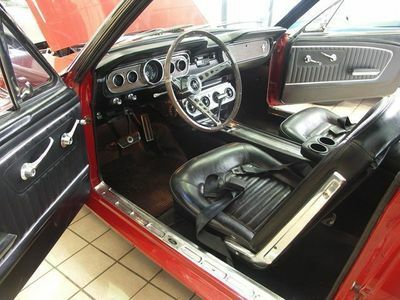 Turn Key Muscle Car, Ready to Show! 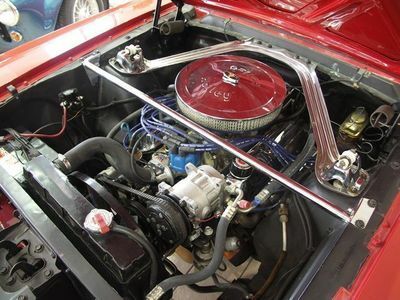 Completely rebuilt (And Beefed UP) High Performance 289 V-8, 4bbl Holley Carburetor, T-bar C4 Transmission. 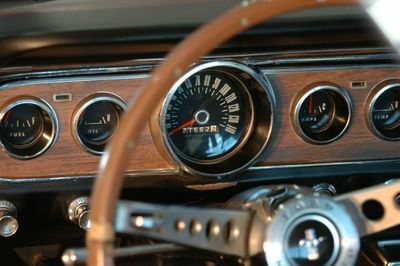 Get ready for this one! 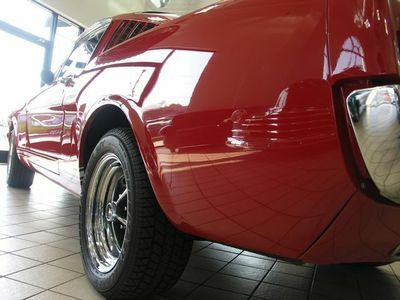 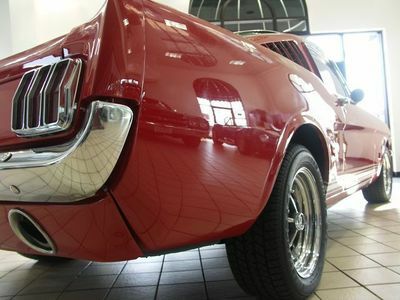 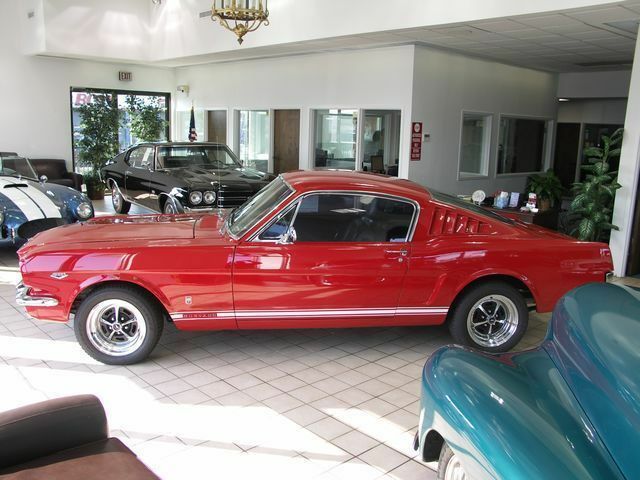 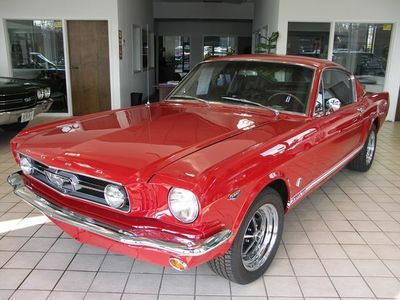 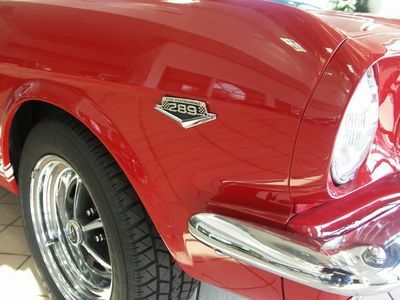 This Ravishing *Rangoon Red* Pony Car is one Truly Exceptional Mustang! 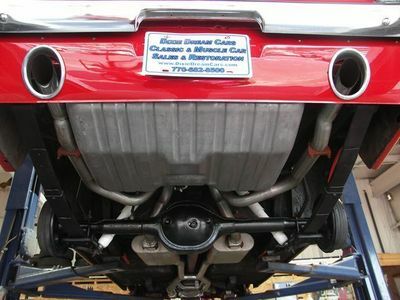 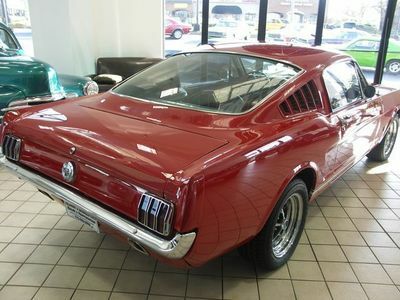 This Fastback started out as a "C" code car, and this Pony's all GT Now! 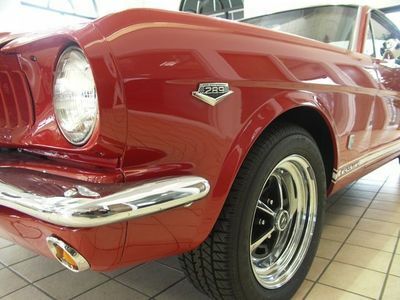 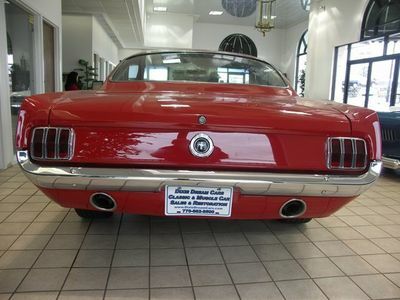 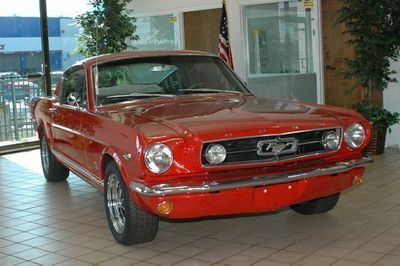 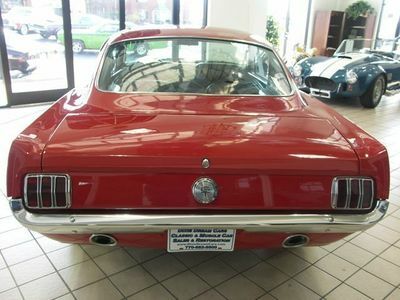 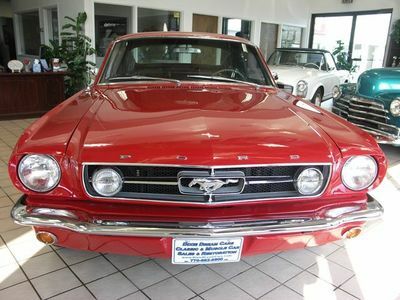 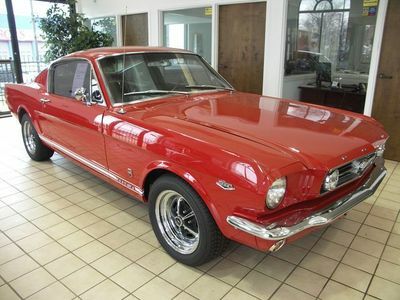 Ford wasn't playing games when they came out with the 1965 Mustang GT! 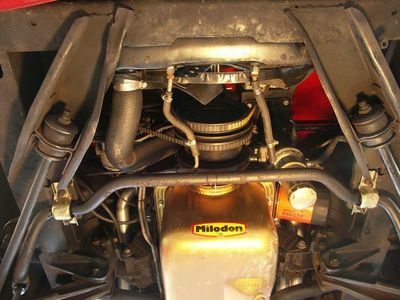 This Solid Original Engine was Completely Rebuilt in 2005. 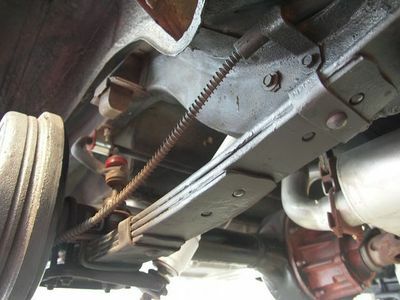 The Crank was Polished, the Block was Bored .30 Over, the Heads have been Worked with SS Valves, Hardened Seats, and Bronze Guides. 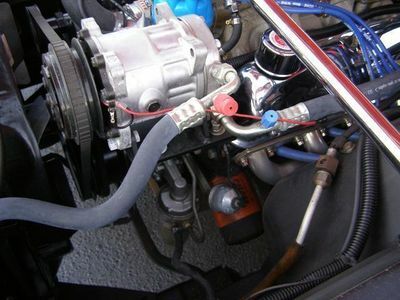 The Cam, Lifters, and Valve Springs are all Crane and it has Brass Freeze Plugs. 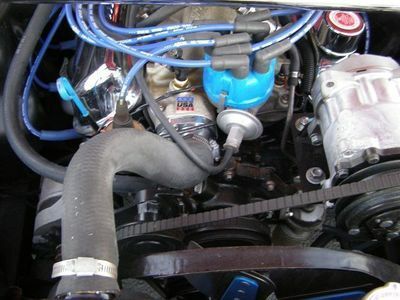 This Bad Boy has a Very Streetable Power Band between 1500rpms and 5500rpms. 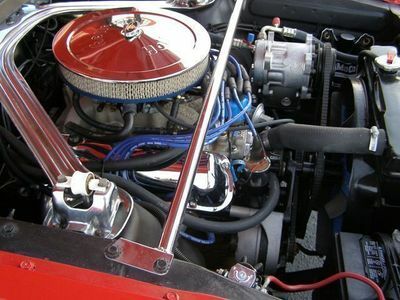 Check out these Bolt-On Goodies! 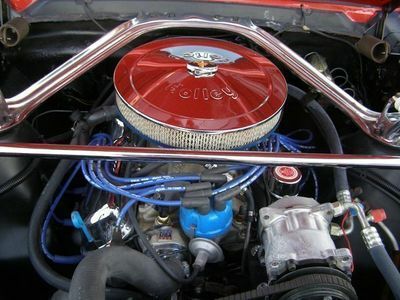 Edlebrock Intake, Holley Street Avenger 4bbl Carburetor, and Ceramic Tri-Y Headers. 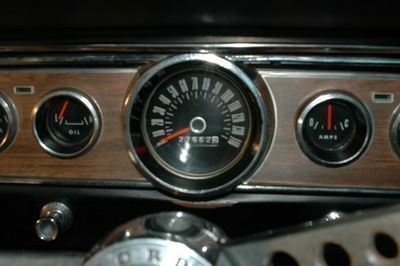 Pertronics II Ignition. 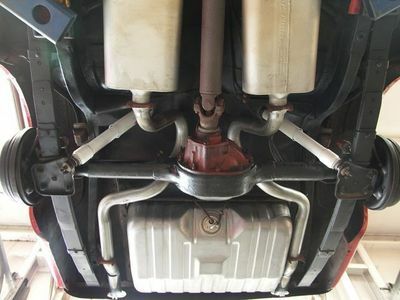 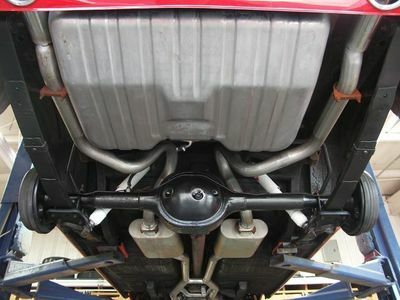 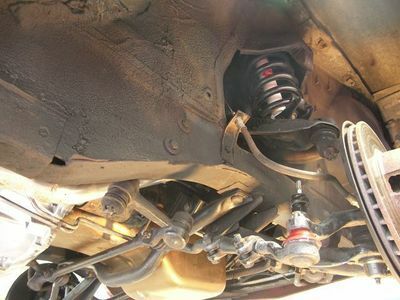 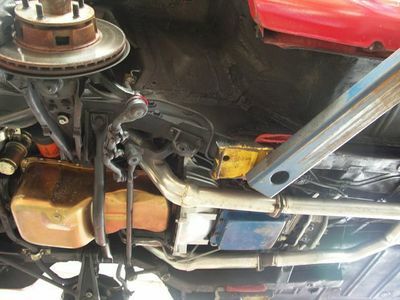 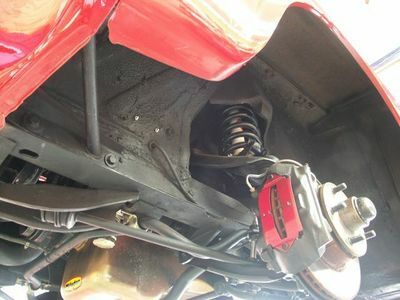 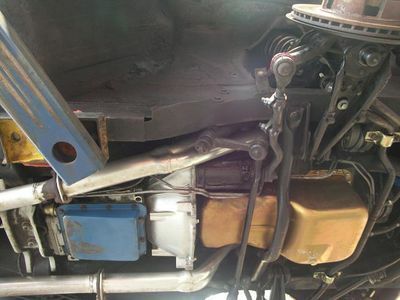 The C4 Transmission has a 2200 Stall TCI Converter and a TCI Shift Kit. 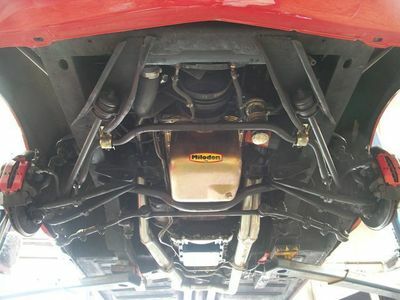 The Air Conditioning System has been changed to the R134 System. 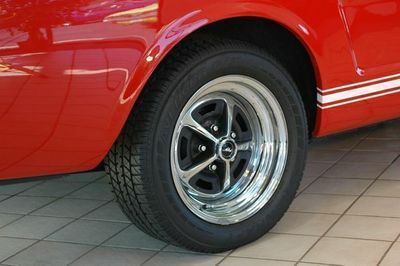 Those Tough Looking Magnum 50 Wheels are 15" with New 225 50R 15 Radial Tires. 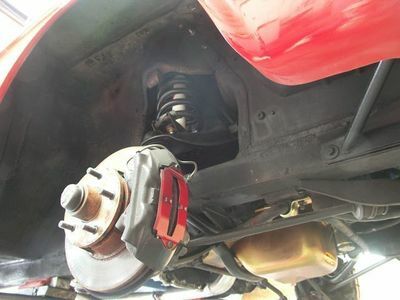 Brakes are Factory Front Disc (note the Brake Pedal) and Only Changed to a Dual Master Cylinder for Safety. 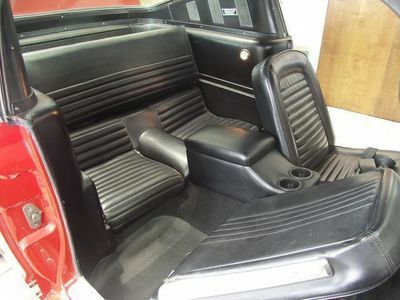 A few little Extras added in for Looks and Comfort are the Mustang Pony Floor Mats, 2 Cup Holders, and a Padded Center Console with Storage. 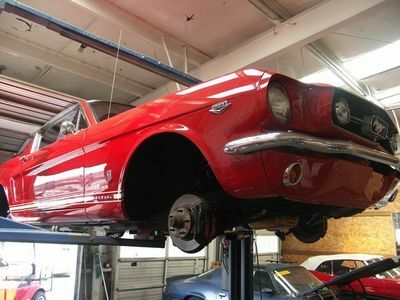 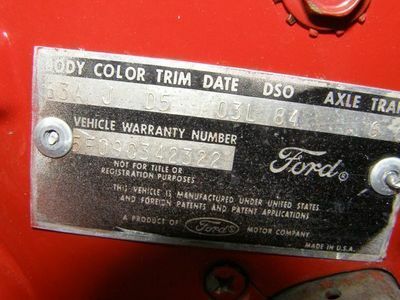 All the GT Options were carefully added during the Professional Restoration Process. 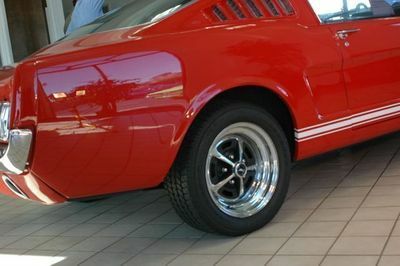 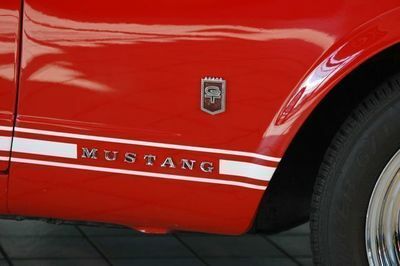 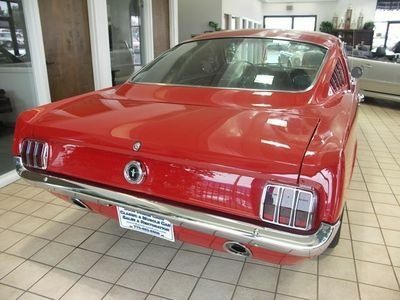 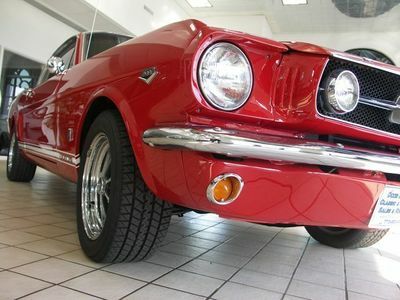 INCLUDING: Dual Exhaust that Extends through Chromed Rings in the Rear Valance, Twin Grille- Mounted Fog Lamps, Chrome Hood Lip Trim, Lower Body Panel Stripe with the Chromed Lettering that spells MUSTANG Within the Stripe on the Lower Front Fender, Front Fender GT Badges, Five-Gauge Instrument Cluster and Special Matching Glove Box Door. 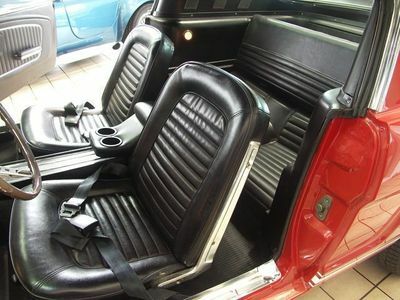 The Optional Deluxe Interior (or Interior Decor Group) is in Near Perfect Condition. 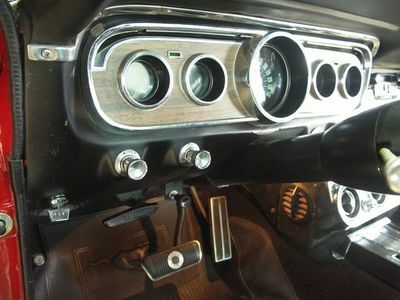 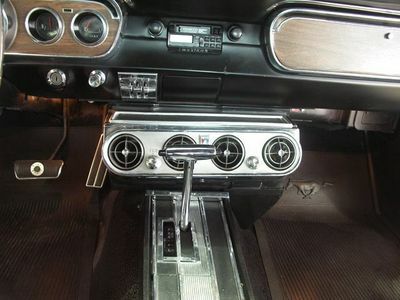 INCLUDING: Instrument Gauge Bezel, Padded Sun Visors, Wood Grain Dash Area Effects, Simulated Wood Grain Sports Steering Wheel, Lower Door Courtesy Lights, Half Carpeted Front Floor Kick Panels, Molded Inner Door Panels and custom "MUSTANG" radio. 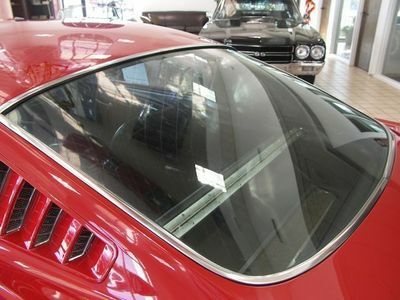 For those Pleasantly Mild days, Ford's Silent-Flo Ventilation Draws in a Stream of Fresh Air with all the Windows Closed and Stale Air Exits Out the Roof Quarter Vents. 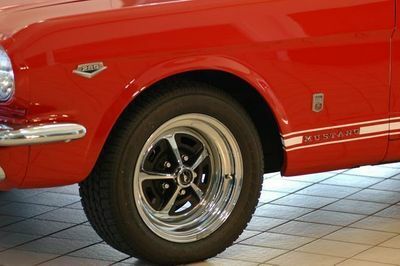 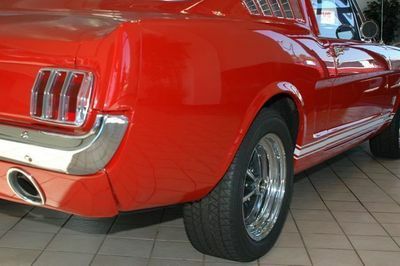 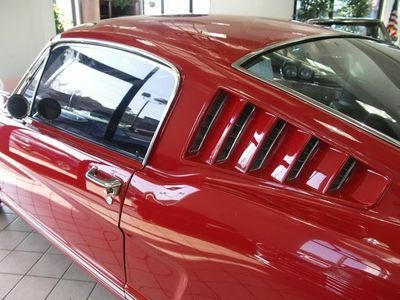 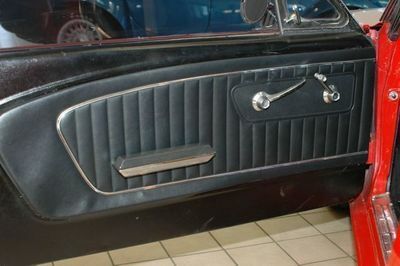 The Mustang Fastback is Equipped with Functional Five-Louver C-Pillar Fastback Air Extractors which are Operated by an Open/Close Slide Lever in the Interior. 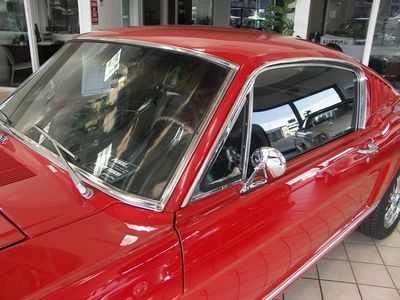 For those Sweltering, Dog Days of Summer and those Sultry, Southern Summer Nights, take advantage of this 'Stangs Factory Air Conditioning (with updated Sanden A/C System) that blows ice cold! 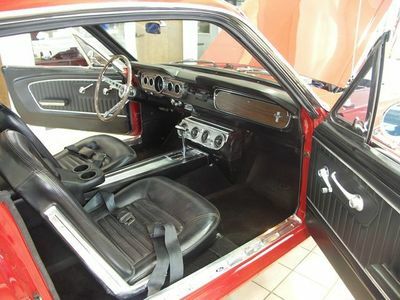 The Under Dash Factory Air Conditioning Evaporator virtually Sparkles in this Black Vinyl Interior. 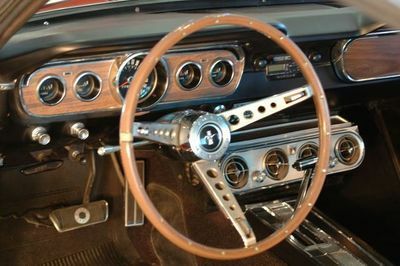 Notice how the Optional Full Length Chromed Center Console is Shortened and Fitted with a Chrome Trim Piece in Air-Conditioned Mustangs. 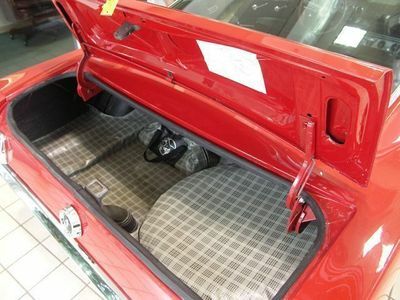 Some Standard Features are the 15" Electric Windshield Wipers, Front Arm Rests, Padded Instrument Panel, Heater, Full Carpeting, a large 10 sq. 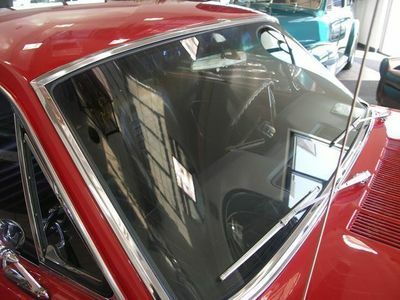 ft. Rear Window (with tinted glass to reduce sun glare). 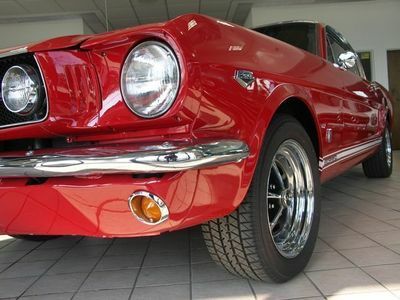 The Beefed Up 289 V-8 makes this Pony fast, but the Unibody Construction with Numerous Galvanized Structural Members, Ribs, Reinforcements and Torque Boxes makes it Strong and Safe. 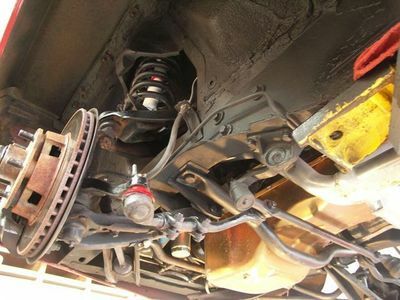 While the Wheelbase of 108 inches and the Overall Length of 181.6 inches Keeps You Securely On the Road. 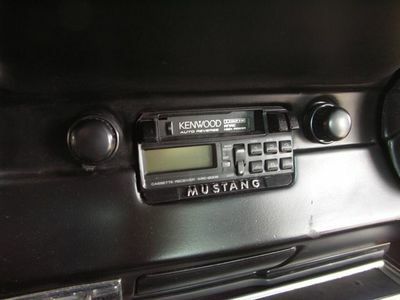 Enjoy Cruisin' Down the Road listening to your favorite tunes on the Kenwood AM / FM Cassette Stereo. 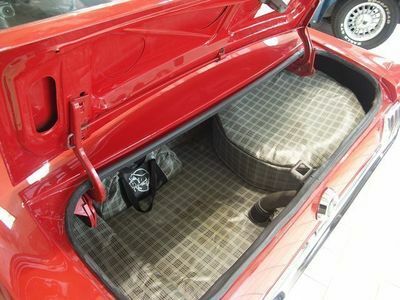 And if you aren't bringing along the "+2" the 2-passenger Rear Seat Folds Down into a 35x41 inch Luggage Platform, more than Tripling Luggage Capacity.